Are you the keeper of birthdays in your family? If so, a thoughtful and useful gift is to give calendars to family members with family birthdays written in. You can get fancy and make one on Shutterfly or you can get out a pen and write them in. Start with a cute calendar the person will like. Get out your birthday book. Write in the birthdays (and anniversaries) for each month. Another idea is to glue pictures of the birthday person instead of writing in their name. This is one of the Christmas gifts I give to my brother and his family every year. They get a calendar for the new year and they have an easy way to remember birthdays. I am starting to wrap gifts to send and put under the tree. I appreciate all the ideas for simply beautiful ways to wrap presents. 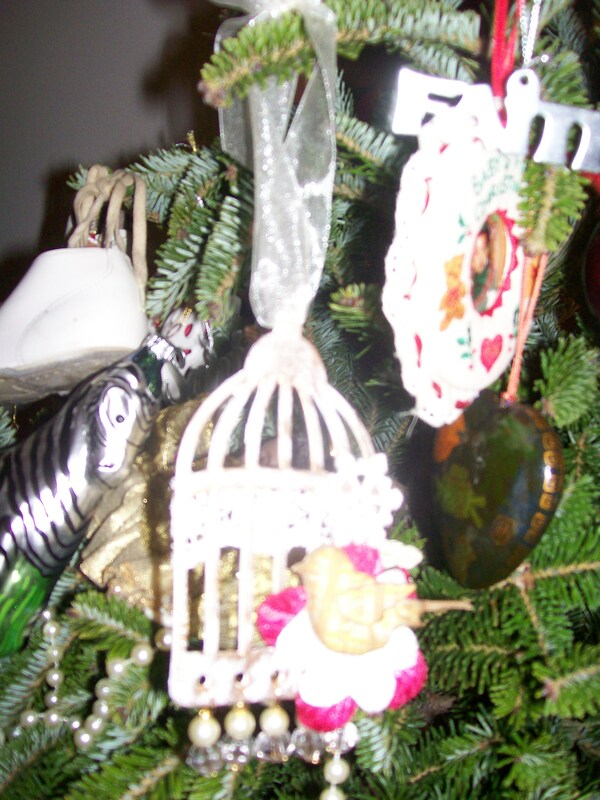 Christmas Ornaments: I received a handmade Christmas ornament from a friend. It is so beautiful. It is a bird and cage with glistening drops. Describing it doesn’t do it justice and I’m afraid, neither does my photo. But here it is hanging on my tree. I treasure it now and will for many years to come. 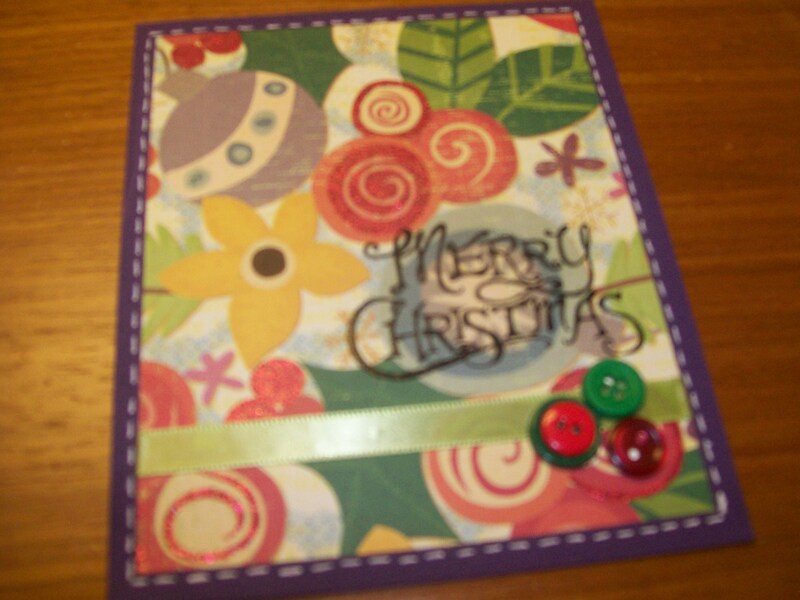 Christmas Cards: The same friend who made me the ornament, also gave me about 10 handmade Christmas cards. I know, she’s a keeper! 🙂 The cards are very beautful. I’ve used most of them, but here is one for you to see. She is a very creative and talented person and I love her work! You can see more of it on her blog Kittenz Cradle. Christmas Cookies: Homemade cookies are the best. They taste better and I love how unique they look. What they lack in perfection and uniformity they make up for with freshness, flavor and authenticity! Please see my last post on the cookie exchange! 1. The exterior brown box was wrapped in white paper. I like that! 5. I love that the gifts are from you guys. In the same way that homemade cookies taste better and look more interesting than store-bought, it’s the same with gifts. Gifts bought and hand-wrapped are more cozy and interesting than a gift shipped by LL Bean. Cherish the handmade things you receive this Christmas. And cherish the people who made them for you! Merry Christmas!